The British Nationality and New Zealand Citizenship Act 1948 provided for New Zealand citizenship for the first time. But the status was ambiguous as passport holders were both New Zealand citizens and British subjects. This is highlighted in Murray Grant's passport. Grant left for Britain in 1965, where he married and had two children, before returning home in 1979. 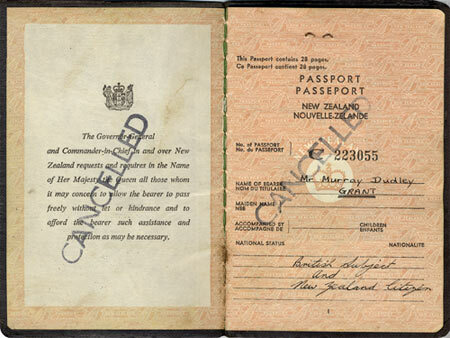 The phrase 'British subject' was removed from New Zealand passports in 1973.